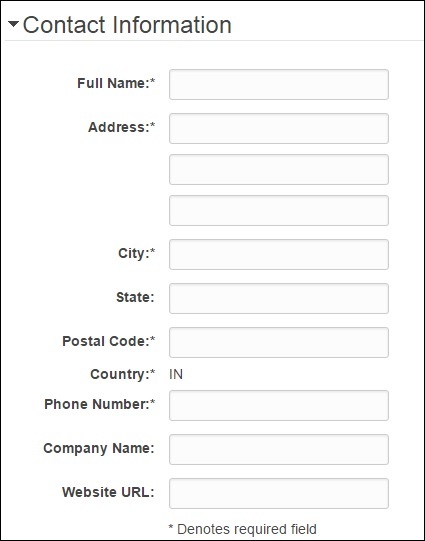 Step 3 − To sign-up for the services, enter the payment information. Amazon executes a minimal (exactly 2 rupees indian cost) amount transaction against the card on the file to check that it is valid. This charge varies with the region. Step 6 − then click sign in to AWS console. Step 7.Once signed in AWS console you will get prompt then choose "continue to security credentials". It is a 12-digit number like 074209010282 and is used to construct Amazon Resource Names (ARN). This ID helps to distinguish our resources from resources in other AWS accounts. To know the AWS account number, click Account name-->My account on the upper right side of the navigation bar in AWS management console as shown in the following screenshot.